A talented young cueist from China, Xiao Guodong first came to prominence with a 6-2 win over Thailand’s Chinnakrit Yaowansarito capture the Asian under-21 Championship in 2007 which was enough to secure him a place on the main tour for the following season. He also recorded a notable win over the then number 50 ranked Tom Ford as a wildcard in the China Open before losing out 5-0 to Matthew Stevens in the last 32. Xiao’s first season on the main tour was largely unsuccessful as he lost out in the first round on several occasions and as a result was to lose his professional status after a single season. He did however manage to impress during the Northern Ireland Trophy qualifiers when he defeated Leo Fernandez 5-1 and Jimmy White 5-0 before he lost out 5-2 to Tamworth’s David Gilbert. For the most part Xiao’s 2008/9 PIOS season was fairly uneventful, but impressively he was able to win two events (a feat matched by no other player) with final victories over Noppadol Sangnil and Jack Lisowski. As a result he was able to finish second in the rankings and he also managed to win the Paul Hunter Open at the start of the season to complete a memorable year at Pontin’s. 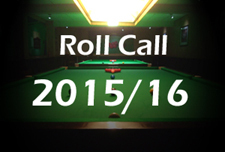 While his victories in Wales were crucial however, securing him a place on the main tour for the following season, it would be in Beijing where he would make a mark on the wider snooker audience as he entered the tournament as a wildcard. Previously against Jimmy White in the Shanghai Masters he appeared to be understandably nervous as he slipped to a 5-2 defeat in front of the TV cameras but at the China Open he was to perform much better as he made it all the way to the last 16. He did not have an easy draw either as he was first paired with in-form world number 34 Michael Holt before progressing to a glamour tie with his illustrious countryman Ding Junhui. Although Ding was clearly not at his best, Xiao played very well to win 5-3, a famous victory for the 20-year-old at the time. Despite going out 5-3 to Ronnie O’Sullivan in the next round, he could nevertheless be very happy with his performances during the tournament. Xiao’s season got off to a dramatic start with a 5-4 victory over Thepchaiya un-Nooh during the Shanghai Masters qualifiers, although defeats to Rod Lawler in the second round and Joe Jogia in qualifying for the Grand Prix were to set him back. He returned to winning ways at the UK Championship as he came through 9-5 against Anda Zhang, but his run was to be ended in the next round by eventual quarter-finalist Peter Lines, who triumphed 9-8. His best run of the season followed at the Welsh Open as he defeated Michael White and Joe Delaney to reach the third round, only to lose out 5-1 to a resurgent Ken Doherty. He matched this during the China qualifiers where he came past Jordan Brown and then dramatically Jimmy White in a ninth and deciding frame, only to run into yet another in-form player, Mark Davis. The final tournament of the season, the World Championship, saw him handed a horror draw in the form of Tony Drago who came into the event having already won 14 matches. Though he pushed him all the way, Xiao eventually lost out in a decider, 10-9. Unfortunately this meant that Xiao was to finish outside of the top eight on the one-year list and be relegated from the tour at the end of the season as a result. Having lost out to arguably the four most in-form players on the tour ranked outside of the top 32 during the last four events of the season, Xiao could consider himself very unfortunate to have been relegated. Thankfully for Xiao, his circumstances were recognised by the governing body and he was awarded a wildcard onto the tour for the 2010/11 season. 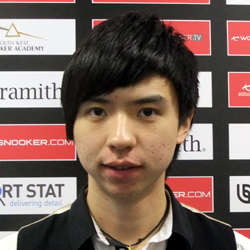 The start to Xiao’s 2010/11 season was however to be less impressive as although he won his opening match of the Players Tour Championship on eight occasions, he could only win a further match on three occasions and never did he make it to the last 16 stage. His performances in the major events were stronger however as he won at least one match during each of the seven full ranking events staged, his best run coming during the Welsh Open qualifiers when he defeated Issara Kachaiwong and Patrick Wallace before losing out to Michael Holt in the third round. His most memorable performance however was to come during his opening World Championship qualifier with Norway’s Kurt Maflin in Sheffield as both played a part in one of the finest qualifying matches ever witnessed in the competition. 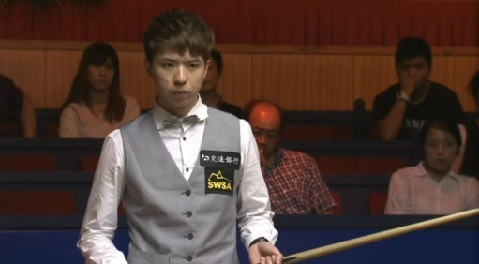 With Maflin leading 7-6 following the final mid-session interval, the next four frames each saw a century break before Xiao took the final two frames to win 10-9 and book a place in the second round. Though he was to lose his next match against Jimmy Robertson, this time finding himself on the wrong end of a 10-9 scoreline after a high-quality match, he had at least done enough to move up into the world’s top 64 at the end of the season. 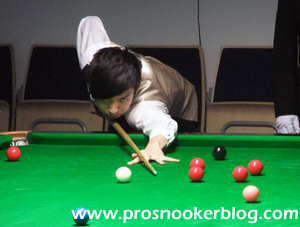 Xiao made a strong start to the 2011/12 season in the PTC events as he reached two quarter-finals and one semi-final during the first six events staged, whilst also recording a sweet 4-1 victory against Ronnie O’Sullivan at the PTC8 event in Killarney. 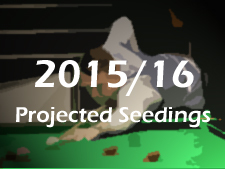 Unfortunately for Xiao however his results during the season’s full ranking events were not to be so strong, early exits from the Australian Goldfields Open and Shanghai Masters qualifiers hindering his rise up the rankings to some degree. Despite those losses, he did bounce back to record two important victories during the UK Championship qualifiers to leave himself on the brink of moving up into the top 48 for the first time. 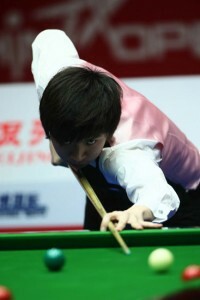 In December 2011 Xiao defeated Chen Feilong 5-0 to win the Chinese national championship for the first time. The second half of the season saw Xiao break new ground at the PTC Grand Finals by defeating Dominic Dale and Judd Trump to reach the quarter-finals, while other consistent results helped him up into the top 48 for the first time at the end of the season at a career-high 41st position. Xiao was to make a strong start to the 2012/13 campaign by qualifying for the final stages of the Australian Goldfields Open with victories against Kurt Maflin and Fergal O’Brien, however following his 5-1 defeat to eventual champion Barry Hawkins at the venue, he struggled for consistent results, his best showings coming during the new APTC series. 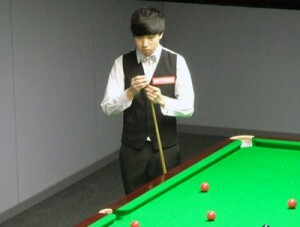 Xiao’s strongest performance during the second half of the season was to come at the 2013 PTC Grand Finals, where he defeated Graeme Dott and Alfie Burden to reach the quarter-finals, before losing to Australia’s Neil Robertson. Having reached the last 32 of the Wuxi Classic early in the season, Xiao’s breakthrough tournament was to come at the Shanghai Masters in September 2013. Following victories against Li Yan, Tian Pengfei and Peter Ebdon to qualify for the venue stages, once there Xiao went on to defeat the likes of Stephen Maguire and Mark Davis to reach his first career ranking event final. Though he could do little to stop Ding Junhui winning the first of what would prove to be many ranking event victories during the remainder of the season, Xiao had done enough to see himself comfortably up into the top 32 of the world rankings for the first time. 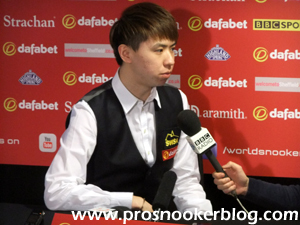 Further notable runs would come at the AT3 event and that German Masters, where he would reach the semi-finals and last eight respectively, before he ended the season with a run to the Crucible for the first time, defeating countryman Li Yan to qualify. At the venue, he pushed two-time former finalist Ali Carter hard, before ultimately losing out 10-8 at the last 32 stage. 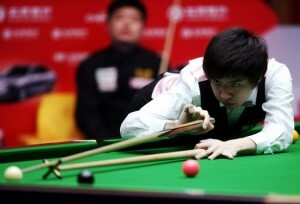 Xiao’s strongest run during the 2014/15 season was to come at the invitational Shoot Out, where he made it all the way to the final, before losing narrowly in the final few seconds against former On-Q stablemate Michael White. The Chinese number two was also able to make it through to the semi-finals of the Australian Goldfields Open early in the season, losing out to eventual champion Judd Trump, while he also reached the last 16 of the International Championship in Chengdu. It was though in the main a solid, if not spectacular season for Xiao overall, as he failed to make it back to the Crucible for a second time, losing 10-9 to Jimmy Robertson in the final qualifying round.